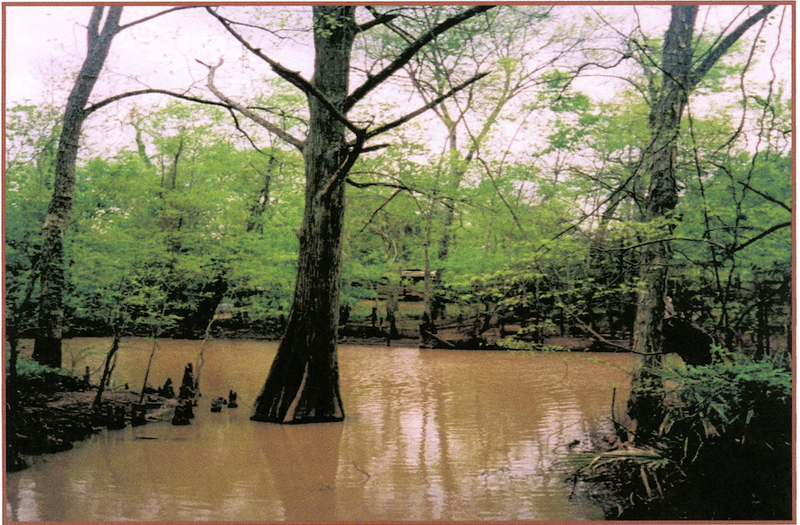 Among the early pioneers that settled in “Bayou Boeuf” were George and John Fogleman who were living there in 1820. This is a short history of the man for whom the Fogleman Cemetary was named. “The Lord and Fogleman Families” by Clyde W. Lord. Chapter 2. page 27. (4) Marriage licenses of James Armstrong-Sally Fogleman (1816) and John Fogleman-Polly Sandifer (1819), St Landry Parish. (5) Conveyance Records, St. Landry Parish, Aug. 19, 1820, Vol E. p. 314; Howard E. Hill, National Archives and Records Service, Washington, D. C., to the author. Sept. 20, 1972; Marion J. B. Pierson, Louisiana Soldiers in the War of 1812, p. 46. (6) Asbury Dickens and James G. Allen (eds) American State Papers, documents of the Congress of the United States in Relation to the Publc Lands (Washington: 1859), Vol. 1V. P. 138, No. 256; Marriage licenses of James Armstrong-Sally Fogleman and Thomas Shaw-Elizabeth Fogleman, St. Landry Parish. ​*The 1820 U. S. Census of Avoyelles Parish listed the following names as being at “Bayou Boeuf”: Henry Slaughter, J. “Fogaman”, W. Shaw, Martha Vernon, Matthew Vernon, Elisa Sap, Hartgraves, Elijah Johnson, Ann Ray, Joseph Black, Rueben Ray, Madam Green, George “Fogaman”, Samuel Dalton, Jacob Keller, N. Day, Edward Willis, William Hargrove, Rueben Parks, S. John Heape, Susan Ham, R. Futch, John Stafford, Stephen Bowie. (Note: The U.S. Census of 1830 and 1840 correctly spelled their names as John Fogleman and George Fogleman. (7) Solomon Northup, Twelve Years a Slave, edited by Sue Eakin and Joseph Logsdon (Baton Rouge: Louisiana State University Press, 1968), pp. 115, 117. Note: * Asterisk information inserted by author. ​"John Fogleman, a native of Virginia was in this area in 1846, a witness to his sister’s wedding in the St. Landry Courthouse. He married Polly Sandefur there Jan 1, 1849. On Nov. 28, 1853 the estate of the deceased John Fogleman was sold in a bid auction at his 184 acre plantation. The plantation sold to P. L.. Shaw with there being one acre on the land reserved as a burying ground”. ​Special note of acknowledgement: The late Ms. Sue Eakin has been recognized nationally and internationally for her diligence in bringing all that was the narrative of “Twelve Years a Slave” to the front pages of America and to the theater screen’s throughout most of the world. 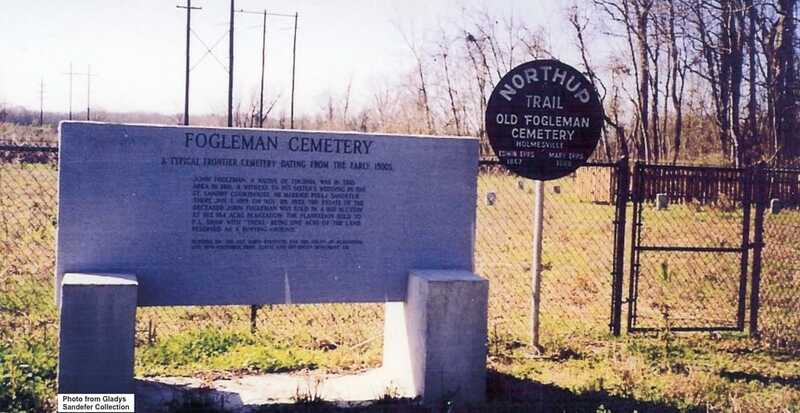 The granite marker, Fogleman Cemetery, is among the many lasting results of her work about the life and times of the slave, Solomon Northup, and his owner Edwin Epps, that occurred at the Epps Plantation along Bayou Boeuf near the small village of Holmesville, in Avoyelles Parish, Louisiana from 1845 to 1853, when he was freed at the Avoyelles Parish Courthouse in January 1853. Unfortunately, the gravesites of those buried in the Fogleman Cemetery were forever lost when a weed cleaning crew demolished the graveyard with high-powered thrashing machines while cleaning the right-of-way for an electrical company. However, a few names were located in Find a Grave and from a Transcription List complied by Gladys Sandefur. “Chet” Chesterfield Knoll, Father of James Lyle Knoll, Sr. This old home was among the first constructed at Holmesville. It was built by Patrick Glaze in 1834, and demolished in 1978. It was often referred to as the "LaFleur home", because my family resided here from 1931 to 1950. In its 144 years history, the following families have lived in this house: Patrick H. Glaze, "Dejean, Taylor and Company", Fabius Ricord, Issac E. Morse, Shaw N. Randon, David C. Keller, James N. O'Neal, Mrs. David C. Keller, Jacob G. Keller, Mrs. Leila Keller and Edwin G. LaFleur. (Two other families resided here later, but their names are not known by the author). This home was located at the place where the Watermelon Bayou flows into Bayou Boeuf. 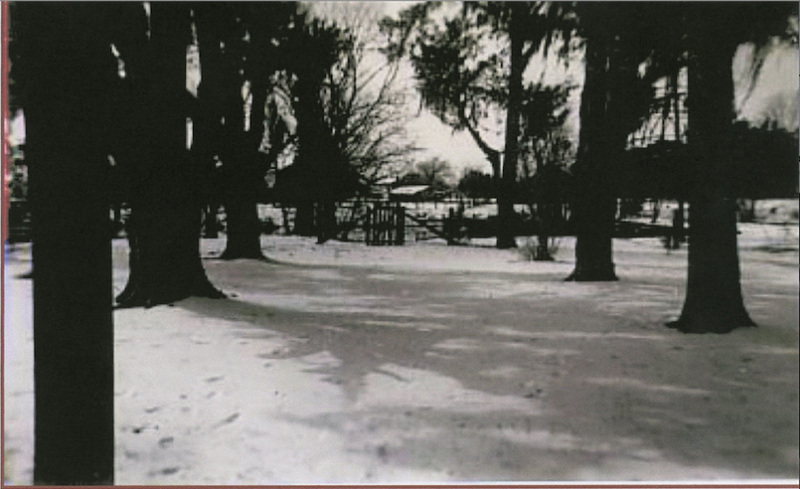 The front yard of the old Holmesville home in 1948. The reflection of the brown colored Bayou Boeuf can be seen just beyond the front yard gate. The Watermelon Bayou is about 100 feet to the left. 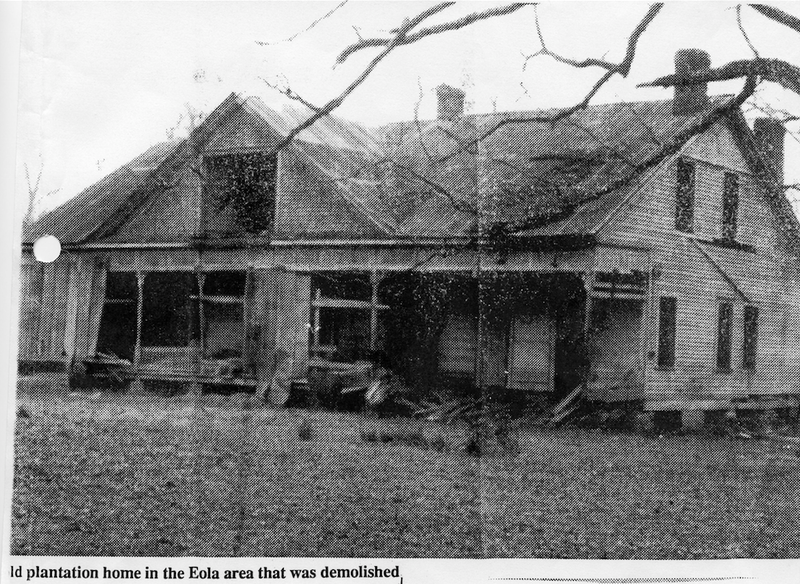 The Epps' home was moved from its original location on Bayou Boeuf near present day Eola to Bunkie and then restored in 1976. Later, in 1999, it was moved to the LSUA campus near Alexandria. 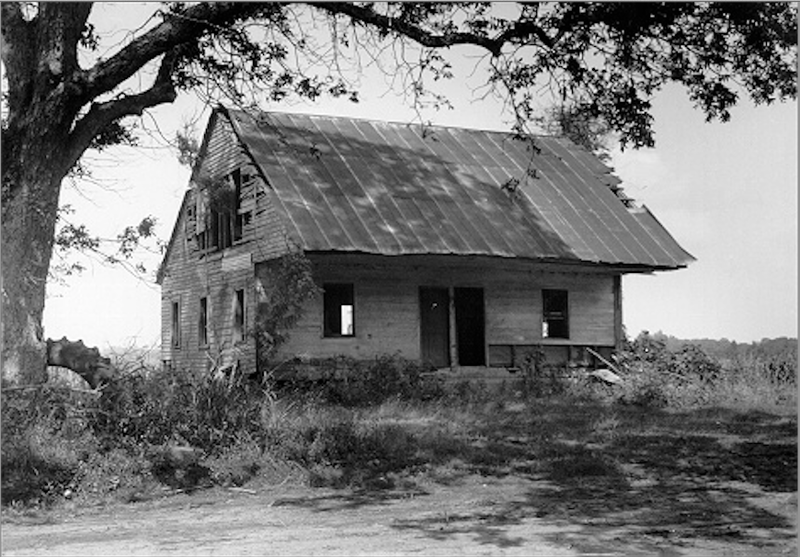 This is the home of Edwin Epps on Bayou Boeuf as it appeared in the mid-1970's when this photo was taken. 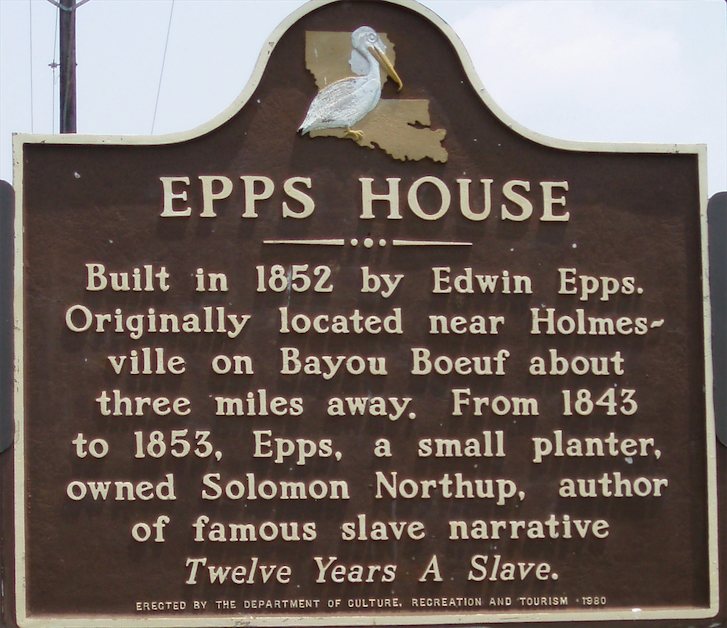 It was built in 1852 with the help of Solomon Northup, a slave who was owned by Epps. 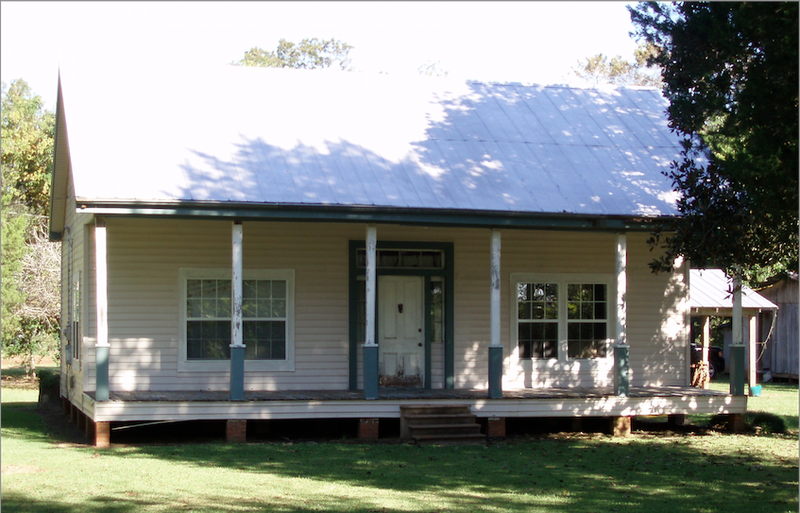 LSU Professor, Dr. Sue Eakin of Bunkie correctly envisioned the historical importance of this home and with the help of others had it restored and moved to Bunkie in 1976. Later it was moved to the LSUA campus in 1999 just south of Alexandria for ease of location and accessibility. On a recent visit (May 2014) to the former Edwin Epps' home site on Bayou Boeuf with James Townsend, he stated that two of his first cousins, D.B. and Doris Townsend were born in the Epps' house in the mid-1930's and that they lived there for a few years before relocating about four miles further west on LA Hwy. 1176 along the Watermelon Bayou near the Sid Richardson oil camp that was there at that time. James also told me that he and his two brothers, Marion and Carlton owned the former Epps' property when the old Epps' home was moved to Bunkie in 1976. 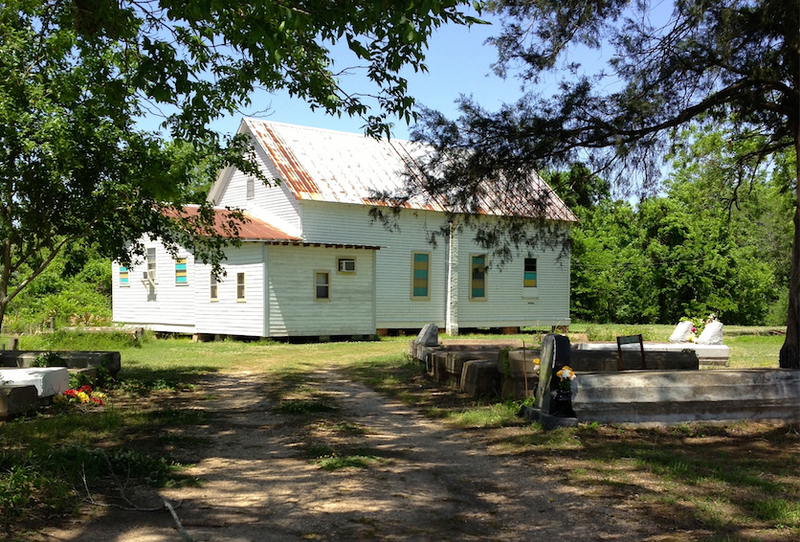 The Simpson Chapel Church is one of only two remaining structures still standing from the Holmesville era. It is on the banks of Bayou Boeuf. Turn left where Hwy. 29 meets Hwy. 1176 from Bunkie. At the Bayou Boeuf bridge, look far to the left. Photo taken by L. F. Marchive. View from the rear; front entrance has been rebuilt. This information is on the cornerstone of the Simpson Church. 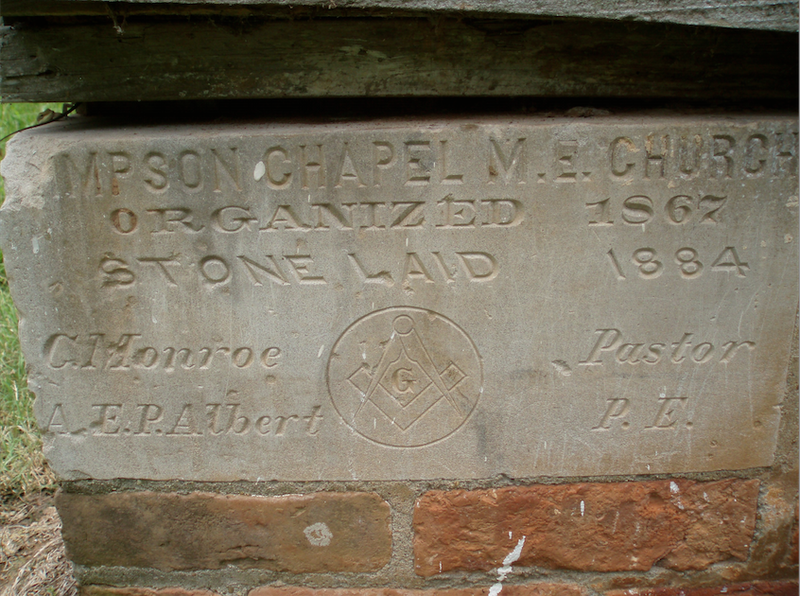 The Simpson Chapel M. E, Church Cornerstone. Photo taken by L. F. Marchive. One of the last remaining relics of the late Holmesville era, the Winn/Owens/Marchive home, was originally planned to be built as a wedding present for Alice B. Winn, the daughter of Dr. William A. Winn in 1877. However, two untimely deaths delayed the final construction until 1886. First, Dr. Winn died in 1877 and shortly thereafter, Alice, now Mrs. Owens, died in 1879. (William J. Nelson completed the construction of the original home in 1886). Upon Dr. Owens' death in 1895, Alphonse Marchive (a naturalized American from France) who married Clemence Brochet (from Belgium) in Gonzales County Texas in 1889, purchased the home in 1895. In the immediate years following the purchase of this home, three of their four sons were born here: Marcel (1895), Laurent (1898), and Alphonse, jr. (1909). 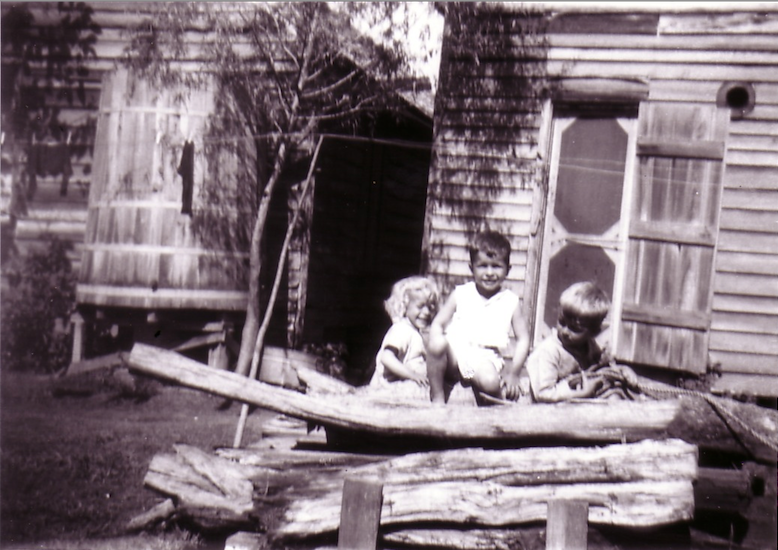 (Emil, their first son was born in 1893 at another location in Holmesville). The home and property has remained in the Marchive family since 1895. 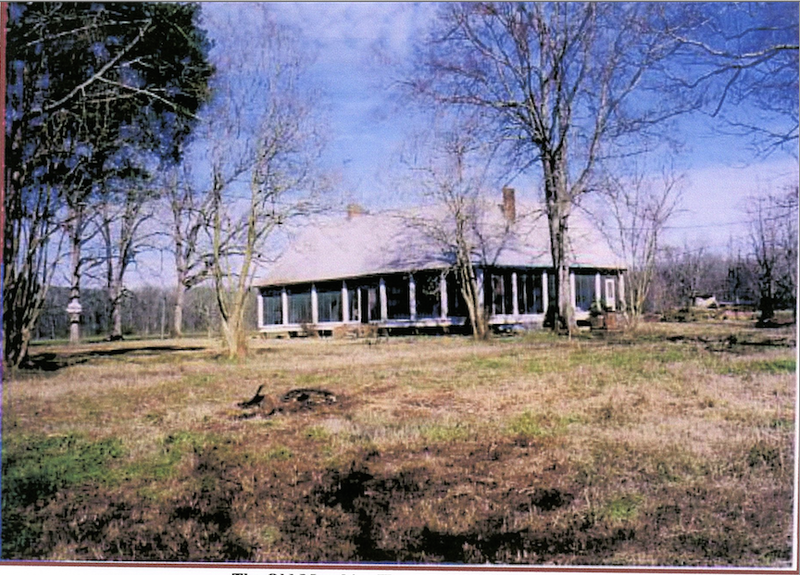 In 2002, this magnificent old home was carefully disassembled and the lumber recycled to build the current Johnny and Phyllis Marchive Tubre house at the same location as the original house on Bayou Boeuf. This board was located and found in the attic of the Winn/Owens/Marchive home when it was taken down in 2002. It is the property of Phyllis Marchive Tubre. The mid-1840's Frontier House. In the 1950's, several of the older generation said that this was among the oldest houses in the area and that it was built around 1840. According to my grandmother, Anne Virginia Hudson LaFleur, the Holmesville Post Office was once located here. It wasn't large, but it strongly resembled a mid-1800 frontier-style house with a low roof and a gallery with two front doors. It did not have the customary second floor that was characteristic of many southern homes constructed in the mid-1800's. 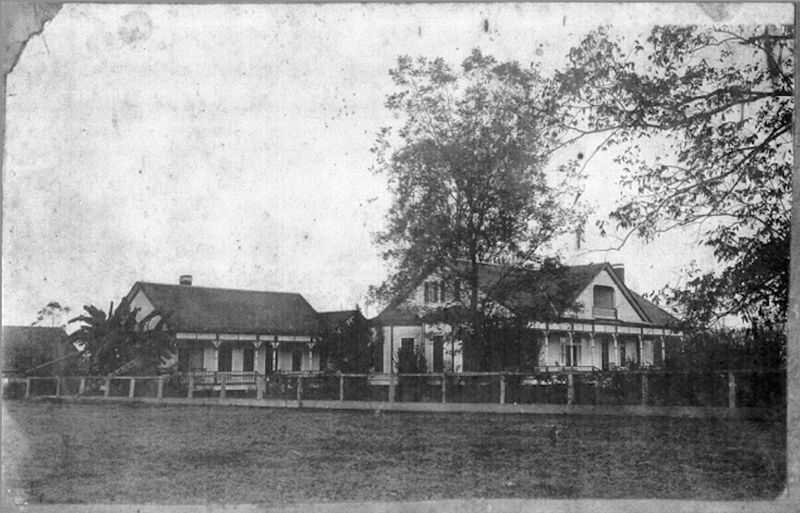 Like practically all other homes in Holmesville, it was located on Bayou Boeuf between the Winn/Owens/Marchive home and the Patrick Glaze home that was built in 1834. (Laurent and Lucille Marchive lived here when their three children, Mary Virginia, Dolores, and L.F. were born in the late 1920s). At the top of the last column on the left the following inscription is written: "Built in 1878 by D.C. Keller". This verifies that this is the last house still standing from the Holmesville era that existed from approximately 1830 to 1881, when the name was changed to Eola. This house was originally occupied by a Dr. Kilpatrick. Later, from 1918 to 1950 it was the home of Mr./Mrs. W.F. Kelley. From 1950 to 1981 Addelene Kelley LaFleur (1912-1990) and Edwin G. LaFleur (1904-1975), the parents of Jimmie, Jerry, Kelley and Danny LaFleur lived here. It should be noted that the only other building of the Holmesville era is the Simpson Chapel Church. It is located directly behind this house. (About 300 feet to the rear left. From Bunkie, follow Hwy. 29 until it intersects with Hwy. 1176. Turn left. It is on the left side of 1176 at the Bayou Boeuf Bridge (currently the residence of Mr. & Mrs. Bobby Green). 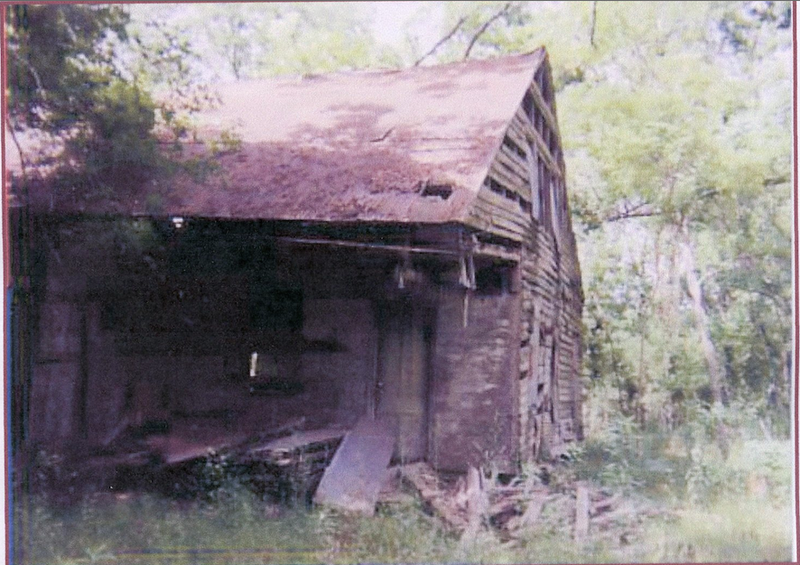 This old house was located along Bayou Boeuf near the Simpson Chapel Church. It was one of several stores/saloons that served the Holmesville area. Its last occupant was John Carter and his wife, Caldonia. The Carter's lived here for many years. This photo was taken by L. F. Marchive in 2004. 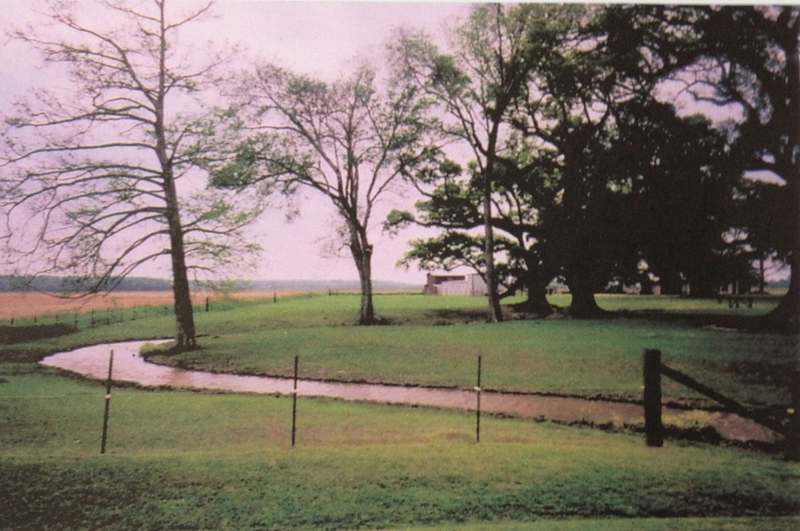 The front yard of the home of Ms. Janet Townsend Webb on LA Highway 1176, and about two miles from where the Watermelon Bayou (above) flows into Bayou Boeuf. Ms. Webb is the daughter of James Townsend, a nephew of the late Mr. Cliff Townsend who lived here for many years. During the Holmesville era, this place was the home of Dr. Robert Dunville Windes. 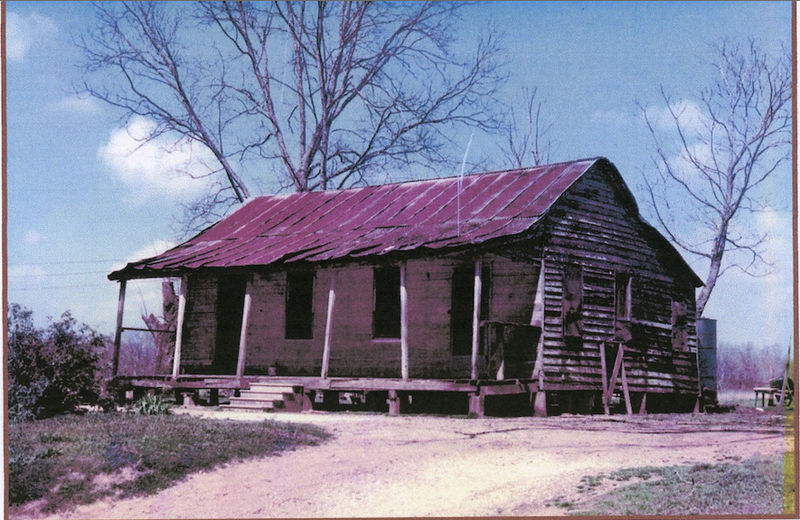 (In Solomon Northup's book, Twelve Years a Slave, this was the place where Dr. Windes lived when Edwin Epps sought his help after Northup became ill for an extended period of time). Photo taken by Anne LaFleur in the Spring of 2005. The place where the Watermelon Bayou meets Bayou Boeuf. Church listed as being in "Haasville"
Please note the date of the Cornerstone and the location name of Haasville. In Corinne L. Saucier's History of Avoyelles Parish p. 121, "Haasville got its first postoffice on Dec. 18, 1879". As such, these dates indicate that the St. Joseph Baptist Church was built 4 years before the name "Haasville" became a Post Office and 22 years after Solomon Northup was freed as a slave and 31 years after Epps' left Bayou Huff Power and relocated on Bayou Boeuf. This is significant as Holmesville remained the closest village to the Epps' farm during the period of Northup's enslavement from 1845 to 1853. James also told me that two of his first cousins, D.B. and Doris Townesend, were born in the Epps' home in the mid-1930's. Later, in the early 1940's their father, Bert Townsend relocated his family 4 miles to the west on La. Hwy 1176 just beyond the Sid Richardson Camp on the Watermelon Bayou. 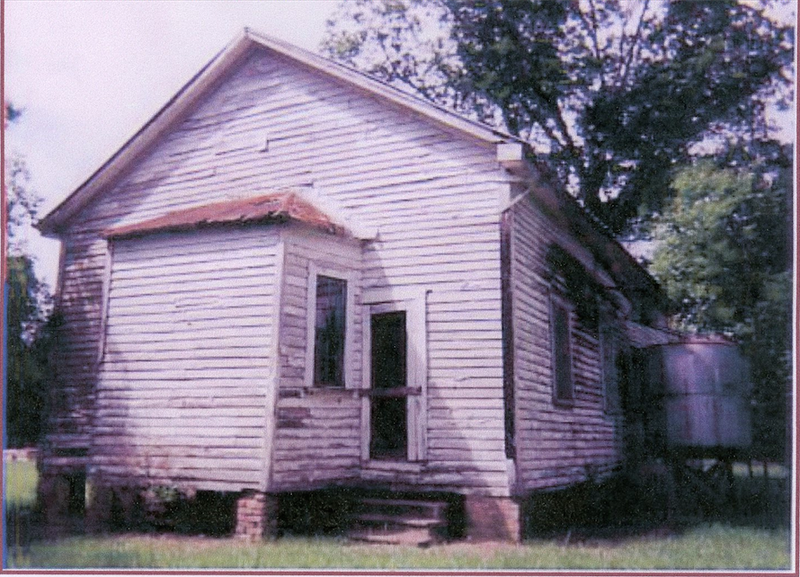 On James' suggestion that I call Doris, whom I rode with in the school bus to Bunkie for many years, she told me that she remembered two things when living in the Epps' House: Mr. Simpson hauling ice to their home on a daily basis and "that she was the last slave to live in the Epps' House!" Doris also told me that she recently visited the Epps' Home on the LSUA campus. She said it looked the same as she remember it - which is now about 76 years ago. 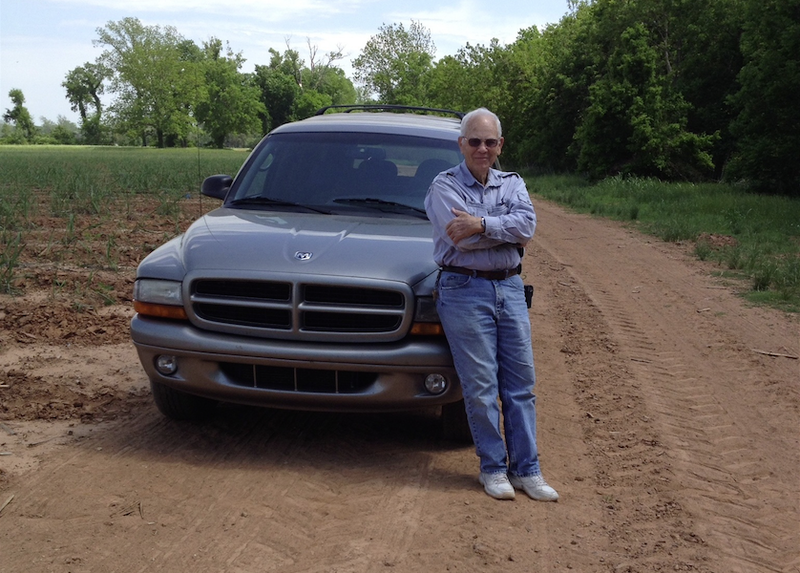 James Townsend at the original site of the Epps home on May 1st, 2014 (the site is 50 feet to the left of the picture in the sugar cane field; Bayou Boeuf is to the right side of the picture). "Some years ago Paul and I went out to the Tiger Bend area so he could photograph an old plantation house at Eola, which was going to be torn down shortly. At the time it was filled with bales of hay, but in spite of that the place was beautiful. Its gaping holes where planks hand been removed and its broken windows and falling doors seemed strange in such a magnificent structure. 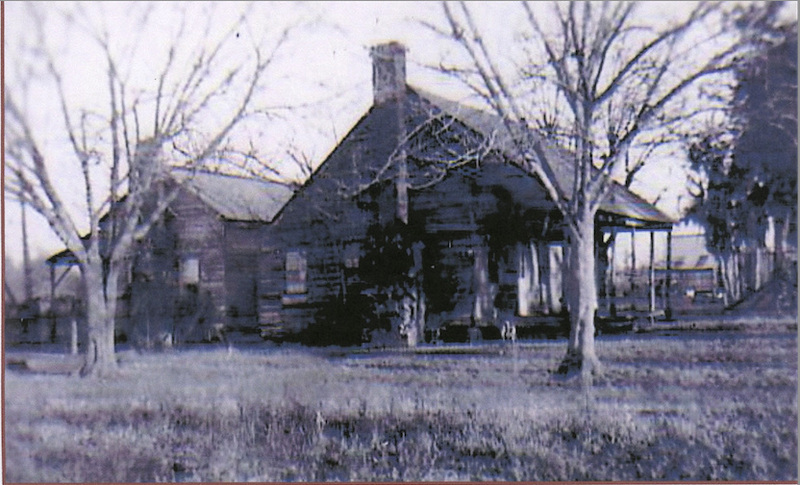 "The house was located across Bayou Boeuf from the Edwin Epps house, and I had never been able to document the owner of the house. According to Northup, Douglas Marshall, who lived there killed an Opelousas lawyer during the period when Northup was at the Epps Plantation. Dr. W.D.. Haas wrote that Douglas Marshall was his grandfather, but finding Douglas Marshall's name in public records has seemed impossible. Years after the Civil Was this was the home of Dr. and Mrs. A.M. Haas and family, which included three well-known teachers at Bunkie High School - Helen Haas Ducote and the late Mary and Kaye Haas. Great-granddaughter Alice Holland recalled the name of the house as "Grey Gables." "Certainly, it was the most magnificently constructed house I've seen anywhere, and I've been in a lot of them. The highly skilled work of master craftsmen could still be seen in various places where the carvings of door and window facings were awesome. It was hard to believe that that wonderful staircase had been allowed to fall. It looked like one in a Hollywood movie portraying the most elegant of houses. "All of these years I had continued to check and double-check records to find out more about Douglas Marshall. Recent trips to the Avoyelles Parish Courthouse to Alexandria Genealogical and Historical Library only brought more mystery: Douglas Marshall's name was listed in neither the U.S. Census or in Conveyance records at Marksville. Searching through my own collection of books Sunday, I found the answer--or part of it. Douglas Marshall the grandfather of Dr. W. D. Haas, was the son of Roger Banks Marshall, whose home Paul had photographed at Evergreen. Roger Banks Marshall was a big landowner, apparently owing the plantation where his son, Douglas, lived and is listed as it owner. Both men are buried in Evergreen in a small family graveyard that the older Marshall had evidently established there. "As for the wonderful old house, my guess was that there was no money back during the Depression to maintain the huge place, and it was in a rather isolated place somebody thought more useful for raising crops. In any case, in today's climate it would have been a treasure indeed." The last known photo of Grey Gables. It was taken by Paul Eakin in the 1950s.